I’m a very lucky girl. I live most of my life in an oasis by the sea, a township hugging the ocean and cradled by the arms of the mountainous rain forest. 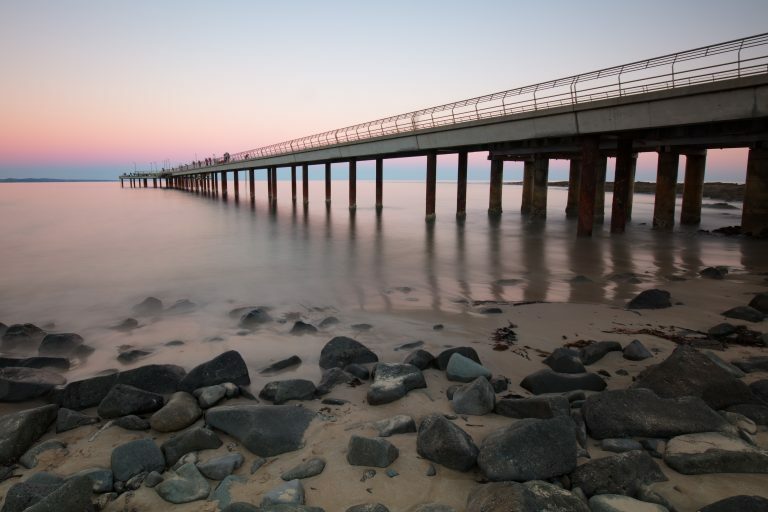 It’s become a habit of mine to head out early at sunrise and set off on a 1.5 hour hike that takes me from asphalt to dirt roads, to bush paths, seaside decked pathways, onto sand and back to asphalt. This undulating route delivers salty, eucalyptus, ferny, and sea-weedy aromas and an array of sounds from cackling kookaburras, squawking cockatoos, tweeting robins and growling koalas. I’ve been doing this walk for around 10 years, but it’s rare that I don’t pull out my camera to capture the magic of what I’m witnessing. Every day delivers something a little different, from varying tides to winds that rustle the upper-most branches. Now, I want to share it with you! 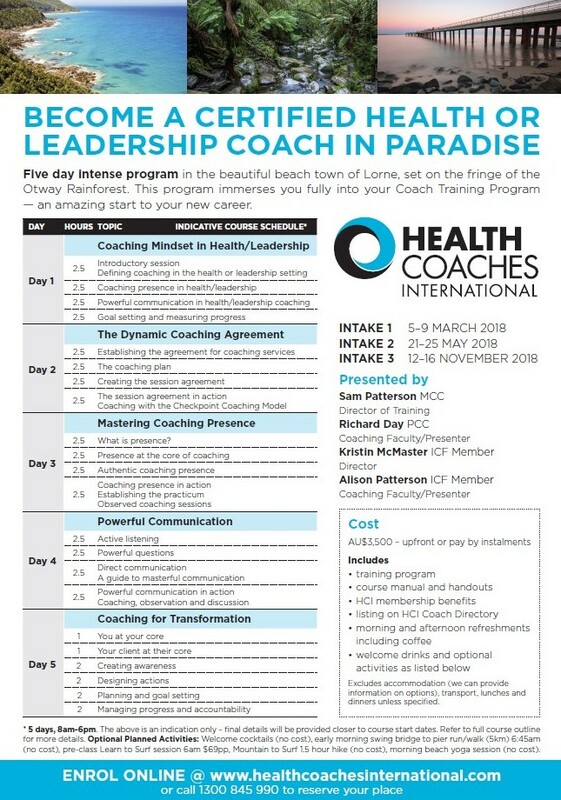 Health Coaches International are conducting a premium Health Coaching Certificate course Retreat in Lorne commencing in March. The program is designed to immerse participants in a magical environment, allowing them to feel fully inspired to tap into the very best of themselves to embrace the skills and tools of Health Coaching. It’s hard to think of a better way to start a professional coaching career. We plan hikes through nature and head into the ocean while challenging our perspectives, perception and assumptions that affect our thinking and control our behaviours. Removed from life’s distractions, we will discover our selves – that is, our true self – the self we are kind-of familiar with, but don’t fully know (and we don’t know this yet!). We’ll explore how passions can be unveiled, how our values can be truly defined, and discover that the interferences that we’ve been blinded to are really under our control. Personal growth will result, allowing you to be a high-level, effective coach.